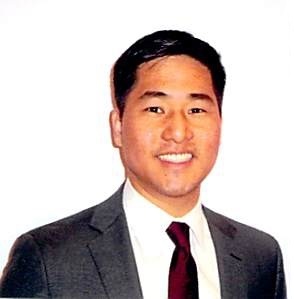 Before starting his own practice, Dewitt Liu practiced real estate law, employment law, and personal injury in New York City. He left New York and established Liu Law Office in Northern New Jersey because of a desire to focus his work solely on real estate. Dewitt is caring and has an empathetic ear for his clients’ needs. As a homeowner, real estate investor, and landlord, Dewitt can easily relate to his clients’ concerns. Dewitt has represented hundreds of clients in the purchase and sale of real estate throughout New Jersey. Dewitt attended college at the University of Minnesota and earned his law degree at Syracuse University. During law school, he was a member of the Moot Court Honor Society. Dewitt is licensed to practice law in New Jersey and New York State. Dewitt was very responsive and helped us through the process of closing our condo. He made us feel comfortable from contract review all the way to closing. I asked a few JC lawyers before engaging Dewitt and can confidently say his rates are very fair. The main difference is the service -- it seemed like Dewitt was even answering emails from the hospital while his wife was giving birth - really above and beyond my expectations! One of the biggest issues with most lawyers these days is that they simply aren't responsive to client calls and emails. Dewitt is the exception to this. Throughout the process of purchasing our commercial investment property, Dewitt promptly responded to all questions we had in a timely and professional manner. He laid out the answers in a way that was easy to understand and didn't veil things in obscure legalese. When any issues arose, Dewitt took care of it. It's just as simple as this: If you need a top-notch real estate attorney, give Dewitt Liu a call. My friend referred me to Dewitt for my closing recently. I have met with three other lawyers before I made up my mind to go with his firm. I really appreciate the fact that he explained to me every detail and he followed through with each of my concerns. Dewitt is a very resourceful attorney and he and his paralegal offer great service. Definitely recommended. Prior to commencing work, we will require a signed Retainer Agreement and Intake Form to be received by our office. Please note that if there is a Realtor involved in your transaction, the Attorney Review period begins on the day that the last party executes the Contract of Sale and ends three business days thereafter unless otherwise agreed to or extended by the parties through their attorneys. Therefore, it’s important that you return a signed retainer agreement to us in a timely manner. Once the Contract is signed by all parties (i.e. all Buyers and all Sellers), your Realtor or you should email or fax it to our office. At such time, we will review the Contract and begin the Attorney Review period. If there are no Realtors involved, the Seller’s attorney will typically draft the Contract. There is no Attorney Review period if the Contract is prepared by the Seller’s attorney – it will be binding upon execution by both parties. If a real estate agent is involved in the transaction, you have a right to Attorney Review. We will send an Attorney Review letter and/or Rider proposing any changes, clarifications, amendments, and/or modifications to the Contract of Sale to the Seller’s attorney. If you wish to add or remove any provisions to or from the Contract, we ask that you let us know at such time. After the Seller’s attorney reviews our letter and/or Rider, there is generally a communication back and forth between the parties through their attorneys to finalize the details of the Contract and Attorney Review. At such time, the Attorney Review period will be deemed concluded and the contract deadlines will be in place. We will then let you know what deadlines you should be aware of and how to meet them. Once the Contract is signed by all parties (i.e. all Buyers and all Sellers), your Realtor or you should email or fax it to our office. At such time, we will review the Contract and begin the Attorney Review period. If there are no Realtors involved, we will typically draft the Contract. There is no Attorney Review period if the Contract is prepared by us – it will be binding upon execution by both parties. If a real estate agent is involved in the transaction, the Buyer will have a right to Attorney Review. We will send an Attorney Review letter and/or Rider proposing any changes, clarifications, amendments, and/or modifications to the Contract of Sale to the Buyer’s attorney. If you wish to add or remove any provisions to or from the Contract, we ask that you let us know at such time.